To live life without trying to fulfill our dreams is like nourishing fearful roots that obstruct the heart and ignore its true intentions. REV believes in exposing our hearts to the world and living free of fear. When we dream—and then live those dreams, it is our courage reflected. Online registration opens each Sunday at 12:30PM for all classes scheduled for the coming week. YES! Log into your REV account before 7PM the day before your class and un-reserve your spot. Your class will be automatically credited back into your account. If you don’t cancel by 7PM the night before and you do not show up for class, your class will be lost. 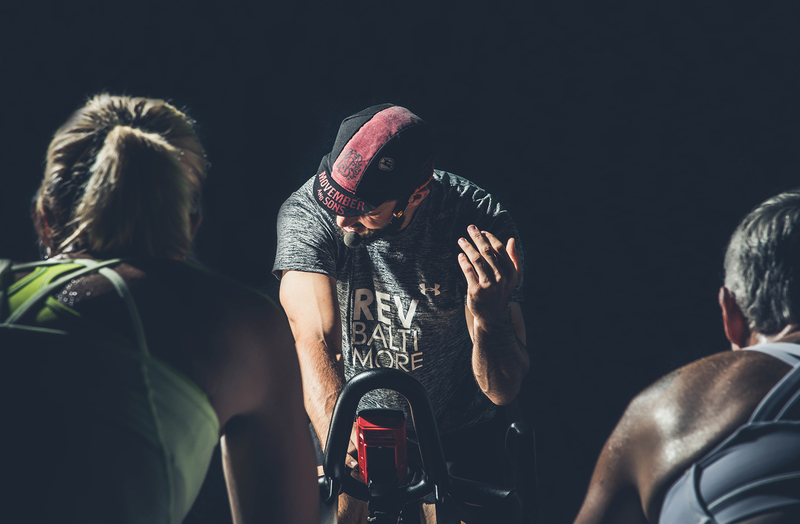 If you register with a Cycle or REV monthly unlimited series and you do not un-reserve before 7PM the night before and do not show up for class, you will be charged a $15.00 no-show penalty. How early should I get to REV before a class? If you’re not at REV at least three (3) minutes before the start of class, your reserved spot will be given to the next person on the waiting list. How late can I enter a class in session? If a bike is still available, you can enter class up to ten (10) minutes late. For barre, if a mat is available, you can enter class up to five (5) minutes late. If a class is full, you may add yourself to the waitlist by purchasing a class or using a class from your account. If you are on the waitlist and you no longer want to take the class, you may cancel from the waitlist by un-reserving your waitlisted spot. If a spot is not made available, the class will go back into your account automatically. If a spot is made available, you will be added automatically to the class and notified via email. You may still un-reserve your spot if you don’t want to take the class as long as it’s done prior to the cancellation deadline of 7PM the night before the scheduled class. If you do not show up for class once you have been added to the class you will lose your class or charged a $15.00 no-show penalty for unlimited clients. Do classes have an expiration date? Single classes expire in 30 days from the date of purchase and all class packages expire within 90 days. Can I use my cellphone in class? At REV, when the lights go down, go ahead and take a digital detox. Please, no cell phones or chatting during class. When the lights go up, high five your neighbor and feel free to stalk us on social media. Clients under age 18 must be accompanied by an adult and have a parent or guardian sign a consent form.